How important is the support of The Canton Public Library to The Detroit Area Diaper Bank? Since 2009, Diaper Drives hosted by Canton Library have brought 113,153 diapers into the Diaper Bank for distribution to our neighbors in need across Metro Detroit! The drive has grown every year, and we have SO MANY people, organizations and companies to thank, starting with, of course, the fabulous Canton Public Library. We’ll always be beyond grateful they “found” us on Twitter just months after we launched in spring 2009 and expressed interest in hosting a diaper drive for us. We literally built our first fall drive around them in 2009, having an overall goal of collecting “30,000 by Thanksgiving” and made the Library drive the “anchor” event to the fall diaper drive. We collected more than 1/2 of the original goal during just that one day drive and smashed the 30K goal that fall by more than 20K diapers. And look at us now! Collecting more than twice that 1st library drive amount during Stuff the Truck 2012, helping us to reach toward our ambitious “200,000 by Thanksgiving” fall diaper drive goal! We couldn’t have grown the Library drive from an in-lobby effort to the size it is now without the generous support of Fat Chef in a Little Coat Catering Service, a fantastic Canton-based company owned by the Hulett Family who selflessly give up use of their bright yellow truck for two days so we can park it in front of Canton Library and “stuff” it full of diapers. Not only do the Huletts drive the truck over to our storage space at the end of night 2 and help us unload, Mom Cathy Hulett brought us THE most delicious meat-lovers pizza to keep us fueled up through the final few hours at the truck last night! You have to check out the amazing food they offer at their new storefront in Cherry Hill Village! Owner Dave Hulett (R) (along with his brother & co-owner Steve) and Mom Cathy Hulett (L) provide the truck for us to “stuff” AND help unload it! We are always thankful to our ace volunteers Bruce Will, Melva Parks and Jessica Roland, who work continuously and tirelessly to support the Diaper Bank throughout the year, but stepped it up even more the last two days. Shout-out to Melva’s granddaughter Kendall, who has a big future in diaper-package sealing, counting and stuffing! And our great in-truck volunteers this year: Lisa Kluka (3rd year in the truck! ), Marybeth Miller, St. Mary Girl Scouts from Wayne (and Bridget Jarvis and other parents!) and Girl Scouts from Troop 640 in Canton, Laura Dyas, Darius Daneshyar, Carlye Petro, Ed Weidenbach. Lisa, Marybeth M., and Jessica came for chunks of time on BOTH days — we’re so grateful for ALL of the volunteers, not only do many hands make light work, but everyone was great company and made the time fly by. Most of all, our deepest, most sincere thanks to all of the DONORS. The generosity of our community never ceases to amaze me. We received some very large donations from companies like J&B Medical Supply and organizations like The Livonia Senior Center. We also received some huge diaper collections from diaper drives like the one at The Funky Frog Children’s Resale Boutique in Rochester and church groups and community organizations, some of whom we didn’t even realize had been collecting for us. We also received some very generous financial donations, which will help us purchase additional diapers. J&B Medical Supply, based in Wixom, brought us a huge donation to help us Stuff the Truck! The large donations definitely had an impact on how quickly the truck was “stuffed”, but I will personally never get over the number of times a car would pull up in the loop in front of the Library and stop just to have someone walk a pack of diapers over to us, get back in their car and drive off. It happened over and over and over throughout the two days, and it was just the most amazing, heartwarming thing to see. We loved meeting and thanking and talking with our neighbors, seeing so many people from so many places around the region, coming to donate diapers for those in need. Many people said they donated last year and looked for the drive again this year, many people just heard of it for the first time this year but already pledged to help again next year. We’ll still be picking up diapers from some donors throughout the next week – some couldn’t get the diapers to us during the two days, some could only fit part of what they have to donate in their car. Diapers continue to be dropped off at the Library today and probably will throughout the next couple weeks. The final count of donated diapers at 9 pm last night was 38,954! You can see the truck was STUFFED toward the end of Day 2! 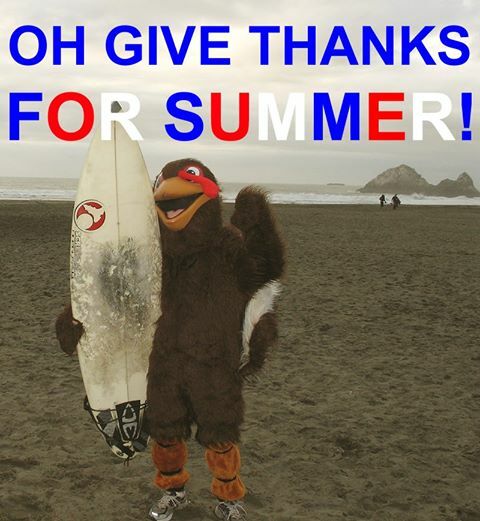 And a quick, final thank you to Mother Nature, who finally came through with a couple of very nice days for us. After having 4 of the coldest November days over the last two years, including having sleet blow in on us IN the truck last year, two sunny days in the mid-to-high 40s made a very fun event all the more pleasant. So thanks for not having fun at our expense, this year, Ma Nature! Thank you, EVERYBODY, for another fantastic, record-breaking Stuff the Truck Diaper Drive at Canton Library! CANTON, MI – May 17, 2012: The Detroit Area Diaper Bank is asking for your support – not in dollars, but in votes! Beginning Friday, May 18 and running for two weeks, the community is invited to vote for their favorite Art Van Million Dollar Charity Challenge organization from among 150 Michigan based charities. The top three charities with the most votes will win grants of $25,000, $15,000 or $10,000. To cast a vote, supporters can visit http://www.artvancharitychallenge.com. Supporters may only cast ONE vote throughout the contest. Art Van Furniture will announce the winners on Friday, June 1, 2012. The Detroit Area Diaper Bank NEEDS YOUR HELP to secure these critical funds! In its first three years, the Diaper Bank has provided nearly 1.3 million diapers and incontinence supplies to more than 60 nonprofit and state agencies serving our neediest neighbors across Southeast Michigan. But the need continues and resources become more scarce during the summer when diaper drives and donations tend to slow down. Please cast your vote for The Diaper Bank and help continue to make a difference with diapers — 100% of funds will be used to purchase diapers and incontinence supplies. The Art Van Million Dollar Charity Challenge is an innovative program presented by Art Van Furniture that awards challenge grants from $5,000 to $50,000 to support Michigan-based nonprofit organizations that focus on children, health and human services programs. Within the last three years, 150 Michigan charities have been awarded a total of $3 million dollars. Through the challenge component, $10 million has been raised since the program began in 2009. For a complete list of Art Van Million Dollar Charities visit artvancharitychallenge.com. Art Van Furniture is Michigan’s largest furniture retailer and America’s largest independent furniture retailer. The company operates 34 stores in Michigan, a full service e-commerce website, plus six freestanding Art Van PureSleep bedding stores in Canton, Troy, Rochester Hills, Brighton, Ann Arbor and New Hudson, Michigan. Founded in 1959, the company is family-owned and headquartered in Warren, Mich. Check out artvan.com for more information. The Detroit Area Diaper Bank is a 501c3 nonprofit charity founded in April 2009 to address the unmet need for diapers among the most vulnerable in Metro Detroit – babies from low-income households, people with disabilities and the elderly with incontinence issues. There is no assistance for diapers, they are not paid for or provided by WIC, Food Stamps or Medicare. The Diaper Bank works to address this large “hole” in the safety net and enable our partner nonprofit agencies to provide more whole solutions for our neighbors in need. Check out detroitareadiaperbank.org for more information. Before jumping into 2012 posts, let’s wrap up 2011! We’re deep into the holidays and the new year is around the corner – time to reflect on and wrap up this year and send out our thanks and gratitude to everyone who helped us get here. I’m still working on year-end numbers and paperwork, but I can tell you that 2011 was a huge year for The Detroit Area Diaper Bank, all thanks to YOU, our donors and supporters. Our cash income was certainly helped by grants we were fortunate to receive over the year, but we also had a big rise in both individual and group donations, so THANK YOU! Our major fall diaper drive was once again beyond successful, I can’t even begin to thank all of the individuals and organizations that contributed to our not only meeting, but exceeding, our big goal of “200,000 by Thanksgiving” and ended up with over 204,000 diapers collected! Please see our drive page and more importantly, our drive DONOR page, for more. And I have to highlight our anchor event, the “Stuff the Truck!” Diaper Drive that the Canton Public Library hosted that collected over 30,000 diapers in just TWO DAYS! You helped us help SO MANY of our Metro Detroit neighbors in need in 2011 – thank you! We saw continued growth in the number of both individuals and organizations that ran diaper drives and fundraisers for us this past year (see a list here) – HUGE THANKS to everyone who ran and/or participated in a drive, you are absolutely critical to our success! If you ran a drive last year, please consider running one for us again in 2012 — and if you haven’t run one in the past, please consider starting one this upcoming year! We started the year having distributed ~326,000 diapers to our recipient partner agencies — we’re ending the year having distributed a total of 1,079,139. Huge donations from Huggies from their “12 Days of Giving” 12-city cross-country tour certainly helped spike that number in November and December, but even without those added resources, the Diaper Bank would have seen significant growth thanks to the support and engagement of our community and donors. But thanks to the huge influx of resources at the end of the year, the Detroit Area Diaper Bank did cross the huge milestone of 1 Million Diapers Distributed on December 6, 2011! I don’t think I can ever give full thanks to everyone who contributed to our success and helped us pursue our mission this year. SO MANY people have been part of our community diaper bank’s growth and success — you know who you are, and I hope you know how deeply, deeply grateful we are to you. We wish you and yours the Happiest of Holidays and we look forward to continuing our good work together in 2012! We’re THANKFUL that we not only met but EXCEEDED our big fall Diaper Drive goal! We challenged the community to help us collect 200,000 by Thanksgiving to help our neighbors in need, and you MORE than stepped up – thank you!! We’re THANKFUL for all of the donors and all the individuals and organizations that have run diaper drives to help us reach our goal and/or participated in fundraisers. THANK YOU for your engagement and support! We can’t make a difference with diapers without your help! We’re THANKFUL to the Canton Public Library for hosting another phenomenally successful anchor event to our fall diaper drive, “Stuff the Truck!” on November 16 & 17. THANK YOU to Library Director Eva Davis, Marketing Director Laurie Golden, and EVERYONE at CPL. 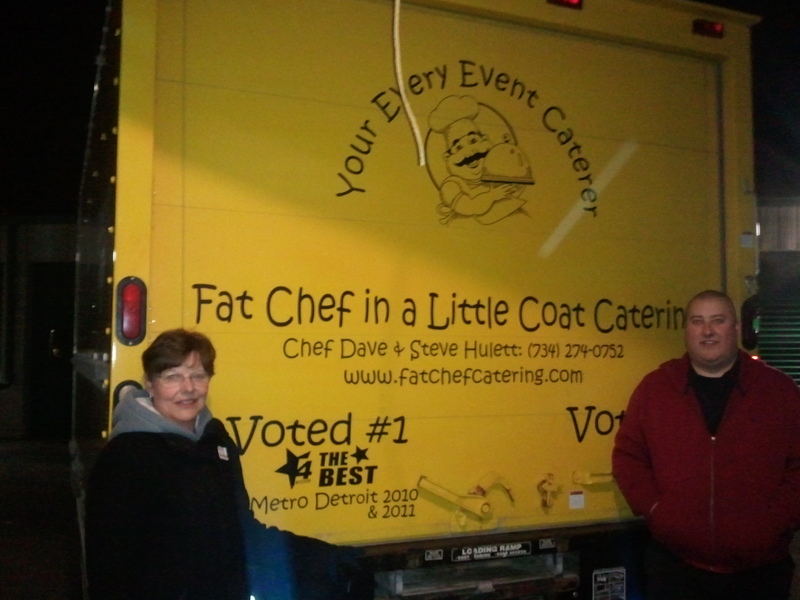 THANK YOU to Dave and Steve Hulett, owners of Fat Chef in a Little Coat Catering, who loaned us their truck for two days. THANK YOU to the ALL the volunteers who came out and helped in the wind and the cold. And most importantly, THANK YOU to all of the donors who helped us collect an amazing 30,813 diapers in just TWO days! The Library’s photo album of the event can be seen here. We’re THANKFUL for our larger diaper storage space, donated by Extra Space Storage in Canton! We’ve already outgrown the space Extra Space donated to us last year, and they were generous enough to offer us a larger unit – such a great community partner! We’re THANKFUL to have been one of the 12 stops on Huggies’ “12 Days of Thanks” cross-country tour. On November 21st, The Detroit Area Diaper Bank received 250,000 diapers from Huggies! We had a huge distribution the same morning as the donation, sending 36 of our nonprofit partner agencies off with most of the 250K diapers. Seeing the partner response and how much need we’re serving in Metro Detroit, Huggies is donating ANOTHER 182,000 diapers to The Detroit Area Diaper Bank, to be received and distributed in early December! Pictures from the big donation/distribution last week can be seen here. And a HUGE THANK YOU to MSA Delivery Service in Canton for making the donation and distribution possible with their facility, equipment, staff and generosity! We’re THANKFUL for some great recent press coverage, including several front-page articles in the Observer, like this one about the Fall Diaper Drive and this one about the Huggies donation. We’re THANKFUL that because of your donations and support, we’re able to help our neighbors, like Maggie. We’re THANKFUL to everyone supporting the Diaper Bank through their everyday shopping at Kroger and through GoodShop. It adds up and really makes a difference for us! We’re THANKFUL for your encouragement, engagement, support and help in building our community diaper bank and making a difference with diapers in Metro Detroit! THANK YOU! 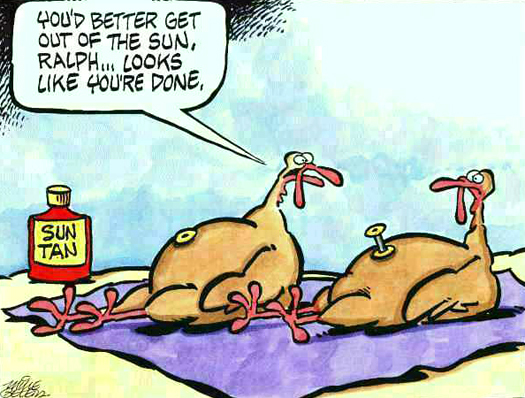 And now that we’re past Thanksgiving, we can officially start saying Happy Holidays!